We just received our Google Wifi and have been seriously excited about getting it all set up and running here in the office where we can truly tax its performance. The results will follow in a review, but for now, check out the video of a beautifully-boxed device that sets up as easy as anything I’ve ever used! As unboxings tend to go, there’s nothing really outstanding to talk about with the box itself, other than the fact that this thing (like all other #madebygoogle devices) is packaged in beautiful, simple materials. Anyway, the real star here is the setup process. In the video, you’ll see exactly how dead-simple this all is. I’ve never been a fan of router setup in general. It’s usually clunky and too time consuming. I’m simply not a networking guy and I just want a plug-and-play experience. I’d be willing to bet the least tech-savvy folks you know could get this thing connected. It is so simple, I can’t believe it! The app, with a bit of snooping around, is pretty robust. There are lots of settings, options and goodies. But for a bunch of people, the 2 minutes you spend in the app getting things set up may be the sum total of time spent in this app all together. For the people who want some pretty serious control, it is there and we’ll talk about it more in the review. Speed tests, traffic and device control, port forwarding…all that is present. And you can adjust the LED light brightness! 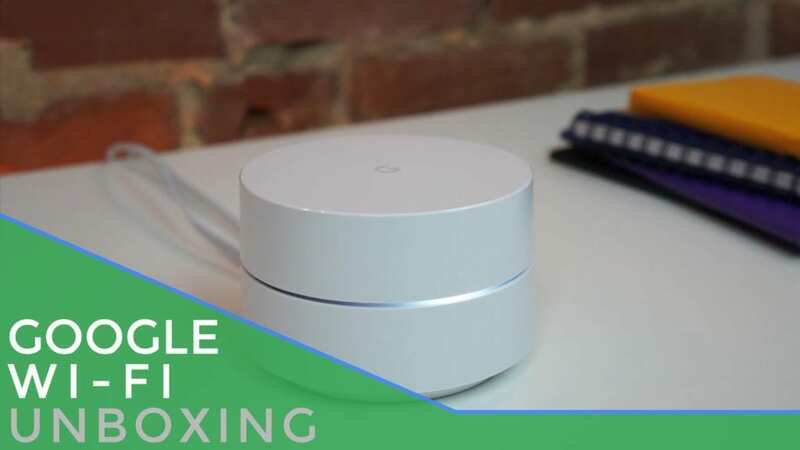 Whether you are into controlling your network or just want to get on the internet quickly, Google Wifi has you covered. My impressions are VERY GOOD thus far, but we’ll be back soon with a full review.